Yes, yes and more YES! Gotta try these. Hi, these look so delicious! 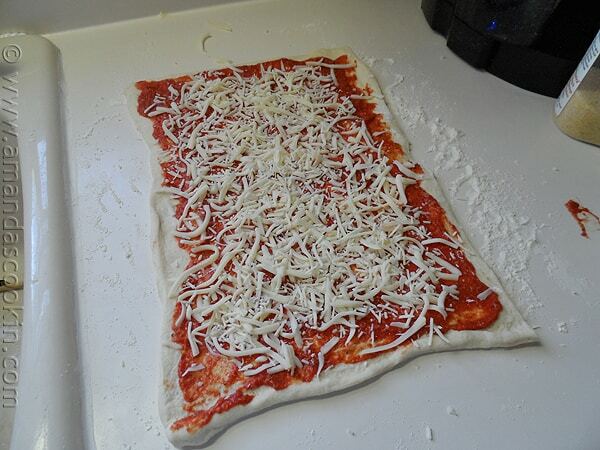 Was just wondering if instead of pizza dough we could use puff pastry? 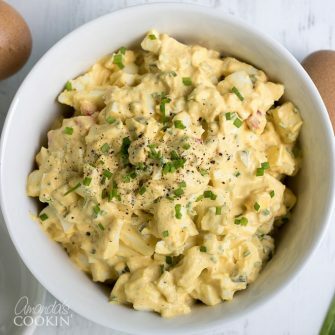 Would I need to make any changes to the recipe? Hi Gulls. 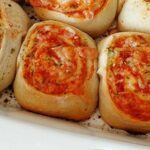 I have never tried this with puff pastry. I would recommend comparing the baking temps and times on both a puff pastry box and the rolls and then go from there. 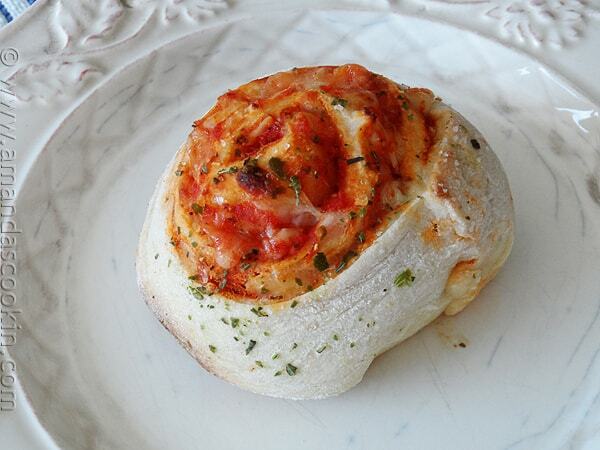 I made the pizza rolls this weekend and they were a disaster. they didn’t stay together. It was a big blob, but a very tasty blob. Next time I am going to bake it whole and then cool a few minutes and then cut into them. Sorry to hear you had trouble Diane! i would offer a suggested solution, but I’m not sure what the circumstances were.. maybe the dough was too warm? I love the recipe, and will make it as soon as I can buy the ingredients. I like to add pepperoni or salami, even Italian Sausage. Can you give me an idea of how much dry sausage to get to cover the pizza decently. I guess I’d need to cook the Italian Sausage first as the roll-ups cook for only 22 minutes. Also, have you tried fresh or dried basil or oregano, or fresh spinach? Yes I would brown and crumble the sausage first, then just sprinkle some on. I haven’t tried spinach or fresh basil but I’m sure it would be wonderful! 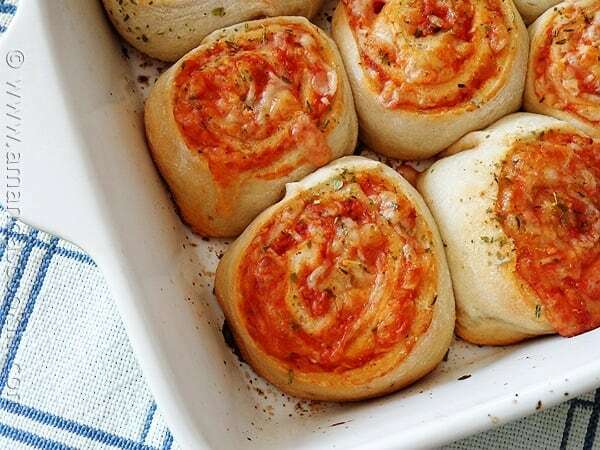 I made pizza rolls yesterday but mine didn’t come out half as pretty as yours… ;) These look fantastic, I’m sure they were delicious! Thanks Consuelo, I’m sure yours were delicious! My family would LOVE these!! 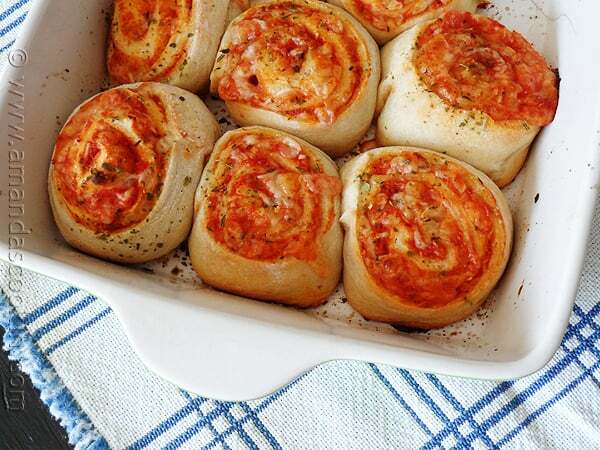 Mmm savory roll up buns. Love your photos and while is only brekkie here, I could go for some of these now too! 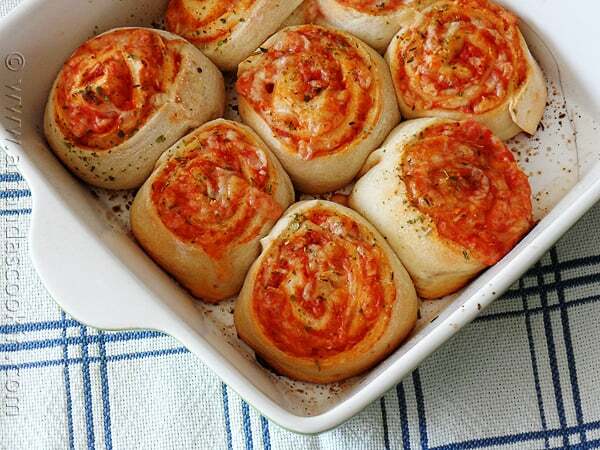 These look like the cinnamon rolls my mother used to make but with cheese and tomato sauce instead of cinnamon and sugar! 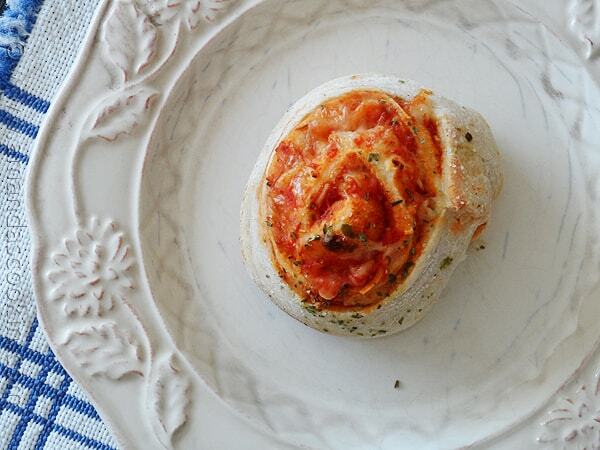 I make pizza roll ups with fresh lasagna noodles or baked, thinly sliced eggplant. I lay them down to bake them. The lasagna noodle version sounds great! Looks like you have a big crack in your dish! It’s not a hair I hope! Hi,these look yummy. If I wanted to make a double batch and freeze,do I freeze unbaked or bake,cool and then freeze? Hi Marian. 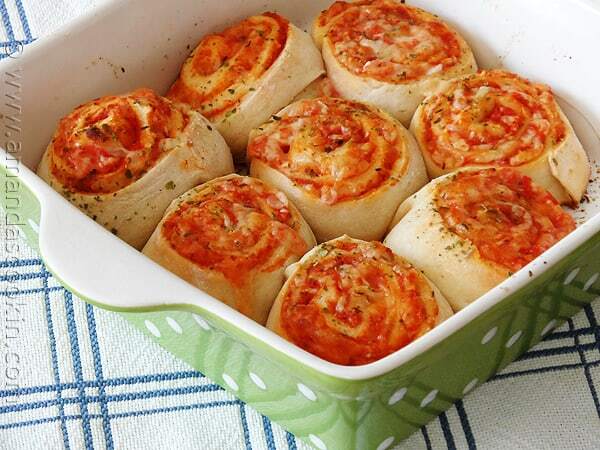 Any time I have frozen either pizza or rolls, you need to partially bake (parbake) them first. 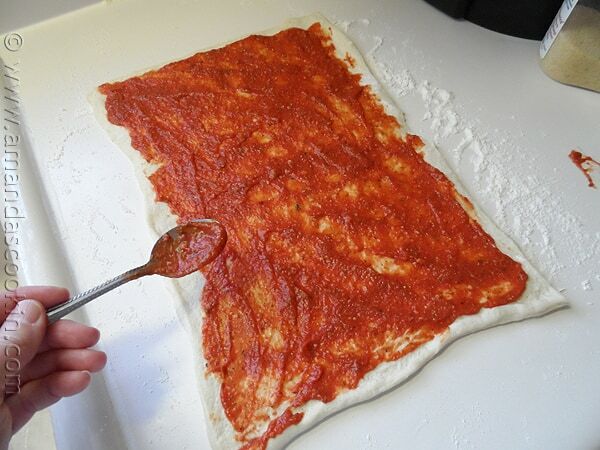 You bake them long enough that the soft dough forms an outer crust, but it doesn’t cook long enough to begin browning, or at least very little. So for these that would probably be around ten minutes or so. BUT be sure to watch them as I am just guessing based on prior experience with other recipes! Then let them cool, wrap in foil or keep in the pan and wrap, and freeze. 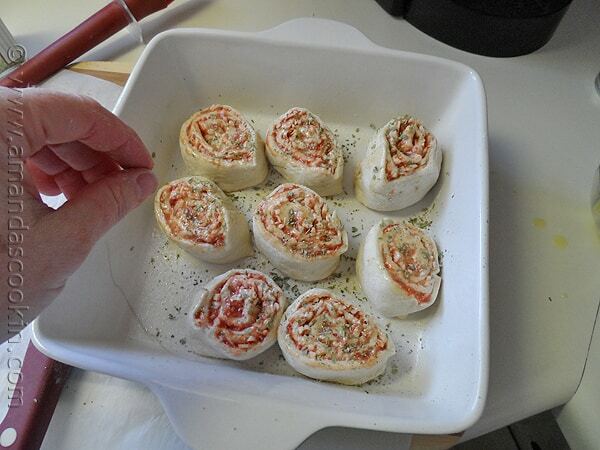 Generally to reheat, use the same temp and timing and place them in the oven frozen. Thanks Becca! 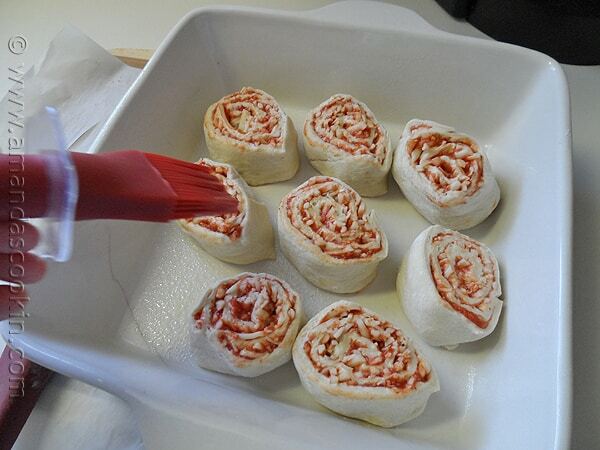 I love the convenience of that dough as well! Mmmm one of my favorite guilty pleasures! Looks delicious Amanda!